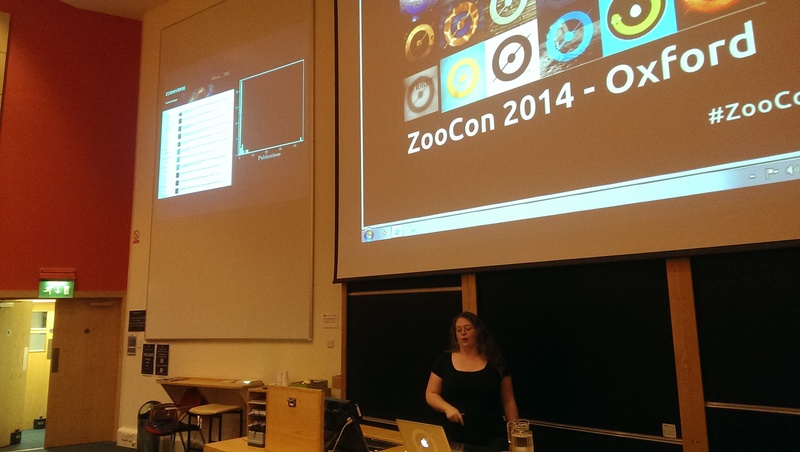 Last Saturday was ZooCon 2014 – Oxford. The event went very well (if the organiser does say so himself) with many of our fantastic volunteers in attendance. They heard talks from across a wide variety of Zooniverse projects including everything from penguins to planets, and giraffes to galaxies! I’d like to thank everyone who turned-up and made the event so special. It was great to meet others who love the Zooniverse as much as I do! If you want to attend ZooCon 2015 in Oxford next year, it will be held on Saturday 11th July. Info on booking tickets will be made available at a later date, but for now put that date in your calendar, and I’ll look forward to seeing you there!